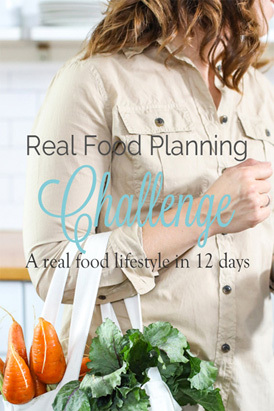 I created the “Real Food Planning Challenge” to share the insider tips, tricks, and tools for stocking, planning, shopping, and preparing real food. This book takes away the stressful question, “What’s for dinner?” by taking you step-by-step over 12 days.. I created the “Real Food Planning Challenge” to share the insider tips, tricks, and tools for stocking, planning, shopping, and preparing real food. This book takes away the stressful question, “What’s for dinner?” by taking you step-by-step over 12 days to creating the essential tools and ultimately meal plans your family will love! Creating a real food lifestyle that’s enjoyable and doable.